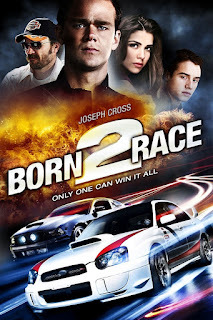 Chrichton's World: Review Born to Race: Fast Track (2014): Slightly better than the original! 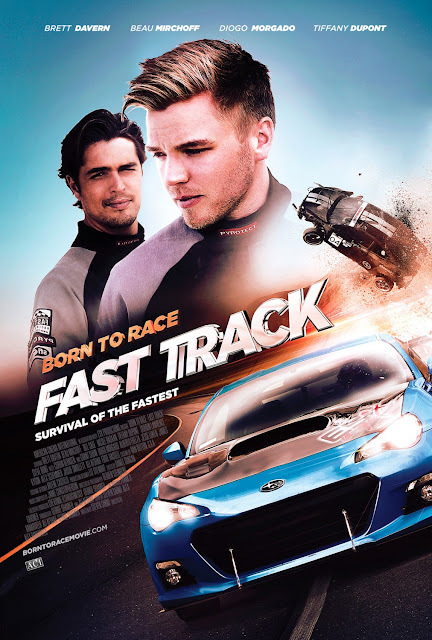 Review Born to Race: Fast Track (2014): Slightly better than the original! Most of you probably haven't heard of Born to Race. Or you just have and you are now wanting to find out if this and that one are worth your time. In my opinion they are. There are some things to consider though. While not absolutely necessary for your enjoyment it is assumed you have watched the original. In the original there was a rivalry between Danny Krueger and Jake Kendal which is very essential. Both characters are now played by different actors as for some other side characters. Most of them are a little better than the original ones. Only one character from the original has remained which is Nicole Badaan as Jessica. The cast change is peculiar but not that big of a deal since it is being treated like they do in soap opera's. Basically ignoring that the roles are being played by different actors but pretend they have been playing the roles all this time. Speaking of soap opera. All the drama in this film is very much soap opera antics. Don't expect anything more than that. I could do without. Only on occasion there were some nice moments between Danny and other characters especially the ones with his father. The story is about Danny who finally has made it to this prestigious racing school. This is the place he wanted to be all this time. And now when he finally has arrived he starts doubting himself and wonders if he has what it takes. There is a heavy Top Gun / Days of Thunder feel to this film which is one of the touches I liked. Since it is focused on making you feel good at the end. Yes basically Born to Race: Fast Track is a feel good film. Much more so than the original. Although if I had to guess that is what director Alex Ranarivelo was aiming for but never managed to do so. But this time around he nailed it. There is far more racing in this film. While they still lack intensity for the most part you feel more involved with them since Danny wants to prove himself and you want him to succeed. I think the races were far more appealing this time. So all and all if you enjoyed and liked the first chances are you will like this even better. If you did not like the original then maybe this one will sway your mind.